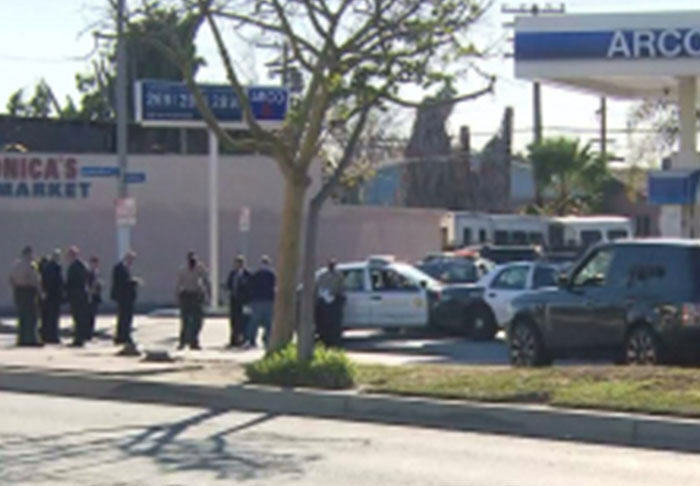 Graphic footage has emerged online of a man being fatally shot by police in Los Angeles after he allegedly pointed a gun at officers. 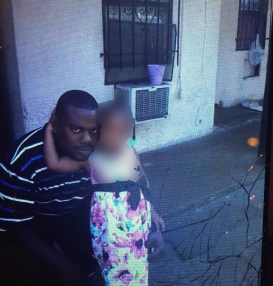 According to KTLA the man has been identified by family members as 28-year-old Nicholas Robertson, a married father of three. Police say they were called to the scene after reports a man was walking down the road with a gun visibly on show. Lt. Eddie Hernandez was reported to have said Robertson had discharged his weapon, and ignored “several commands” from officers to put the gun down. In the footage two armed officers are seen discharging multiple rounds at Robertson, who at one point falls to the ground and is crawling away while gunfire continues. A later count suggested 30 shots had been fired in total. Despite Robertson’s family believing the suspect was not armed, police say they recovered two “real bullets” that seemingly belonged to the .45-caliber handgun they allege Robertson was carrying. Hernandez said an investigation will take place, but warned it will not be a quick process.